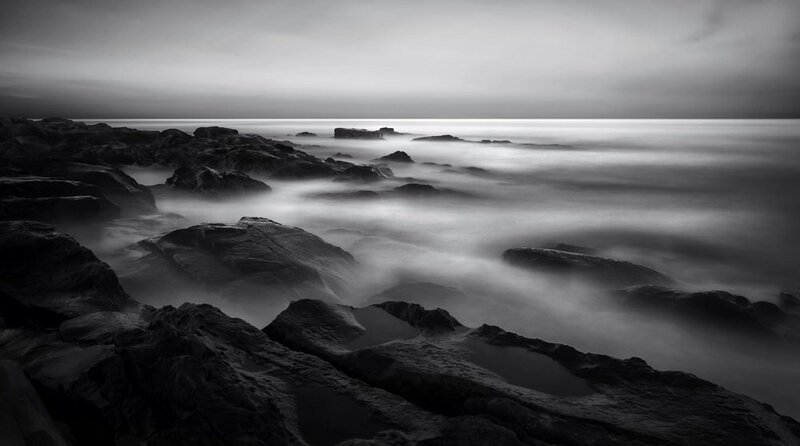 We will focus on planning for a successful landscape and seascape photo shoot. Learning how to use proper composition and natural objects to help create impactful “keeper” photos. Techniques such as long exposures, HDR and light painting will all be part of our daily activities. Black and white fine art techniques are also available to learn if interested. By teaching you this in Nova Scotia, you can then take that knowledge home and employ these techniques in your local area. When we are out photographing we will discuss camera settings, holding your camera properly, how to set up a tripod in different terrain, how to care for your gear and what it means to think outside of the box. Our goal is to take you photography to the next step and help you achieve your photography to the next level of learning. When we return to the hotel each night, we will then open up our laptops and discuss editing techniques to achieve sharper images, how to manipulate color, create better composition from cropping and introduce you to some techniques we use to create more appealing images. Most of all we want you to have fun and enjoy your vacation. During our visits to the fishing villages we talk to the locals about the hardships and battles of a fisherman’s life. This area is full of East coast history and it is all there for us to learn about and appreciate. Included: Accommodation, transportation, whale watching excursion, all breakfasts, all dinners and snacks and water during the day. Not Included: International airfare, daily lunches if you wish to eat, items of personal nature, gratuities, laundry, anything not listed as included. Deposit: $1000 deposit secures your place on this workshop. Day One Events: You will arrive in Halifax Airport in the early afternoon and we will proceed to our hotel in Halifax for a group meeting at lunch to welcome you to the workshop and go over your expectations for the week and give you our itinerary. 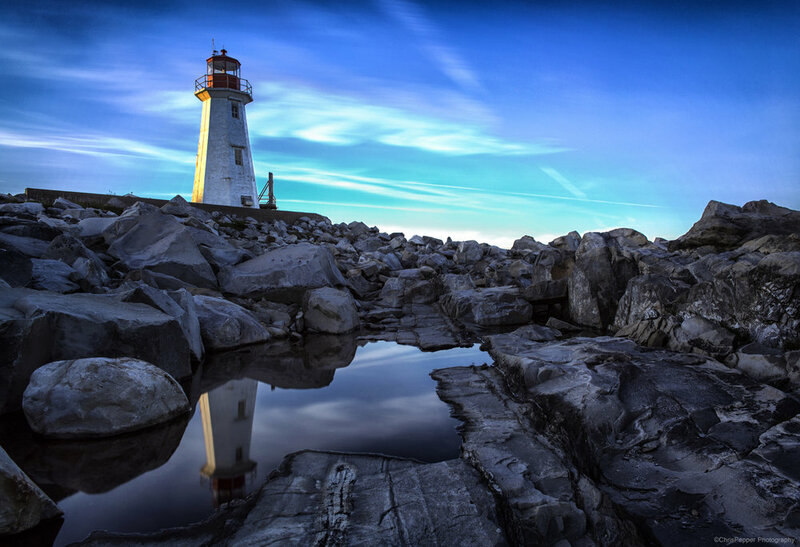 After our group meeting we will explore a little of the Halifax waterfront and historic sights and head out to shoot sunset at Peggy's Cove, you will be able to have the sun drop right behind the lighthouse at that time of year. An evening editing session and discussion on techniques is available to everyone. Day Two Events: It’s an early start to the day as we head to Peggy’s Cove for your second opportunity to photograph the iconic lighthouse for sunrise. Long exposures of the village OR the lighthouse will make some awesome photographic opportunities. After our morning shoot we will head back to the hotel for breakfast and prepare for our departure for our next destination just an hour away. In the afternoon of Day 2 we will be going for a scenic drive through the north of Nova Scotia. During this drive we will be stopping at a scenic look out over the Bay of Fundy. The views will captivate you as we will be at the highest elevation for our trip. The remainder of our drive we will be stopping at some quaint lighthouses and villages along the way. Once we arrive at our final destination for the day we can all relax and enjoy some dinner before going out to shoot our sunset. If weather does not cooperate we will stay inside and work on some editing from our day. Day Three Events: Today we transition down the Digby Neck for WHALE WATCHING, photograph the Brier Island Lighthouse and visit the world famous “Balancing rock”. At this location we can truly appreciate how the earth has evolved. Geologist have documented that the rocks found in this area once was attached to Africa. After, we will step back into today’s time and go looking for some whales! Many species of whales are migrating at this time of year and are hungry looking for food. The Bay of Fundy offers a pristine Ecosystem for whales making this one of the best whale watching locations in all of eastern Canada. After our whale watching adventures we will work our way back towards our hotel looking for a picturesque lighthouse to photograph with a colorful sunset backdrop. An evening editing session and discussion on techniques is available to everyone... unless the sunset co-operates. Day Five Events:The morning of our fifth day will start out in Shelburne. Many of Shelburne's buildings date back to Loyalist times. Many descendants of the first-generation immigrant Loyalists still live in the area today. Our focus will be to capture some of these well-kept and abandon buildings on the area. In the afternoon we will travel back to Liverpool and spend the remainder of the day enjoying the sea scapes and quant little town. After dinner we will go to one of our favorite lighthouses to capture a back drop sunset and then work on some milky way phots as there is next to no light pollution in this area. Day Six Events: Get your ND filters today because it’s long exposure workout time. In the morning we will be taking you to a secret spot we found by accident one year. Picture pounding surf on 25-50 foot rock cliffs with the sun rising in our background. This area captivates us every year and we look forward to our return. From here we will travel to Lunenburg, Mahone Bay and Blue Rocks, the first two are historical landmark locations, but Blue Rocks is a small local village that is not on the regular tours, but a fantastic photographic location to capture through your lens. Are you ready to photograph some lighthouses? Click on the button below and we will see you in Nova Scotia.